MISSING since March 19, 2014 from Washington, D.C. Weeks prior to Rudd being reported missing, she was known to wear a purple Helly Hansen brand winter jacket and pink boots. Unknown. She was last seen on February 26, 2014 at a Southeast Washington, D.C. shelter. When a counselor at her school realized she had not attended in weeks, she was reported missing. 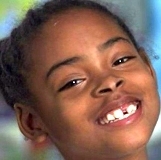 She is believed to have been with Kahlil Malik Tatum, a janitor at the homeless shelter where she lived with her mother. Tatum was found deceased on April 1, 2014 in the Kenilworth Park/Aquatic Gardens area of Northeast D.C. Rudd's whereabouts remain unknown, and foul play is suspected.